This is a guest post by Farah Al-Khojai. Most pet owners consider their pets as additional members of their family. As such, if they are hiring someone to take care of their canine or feline for a day, they want to make sure their pet is in good hands. 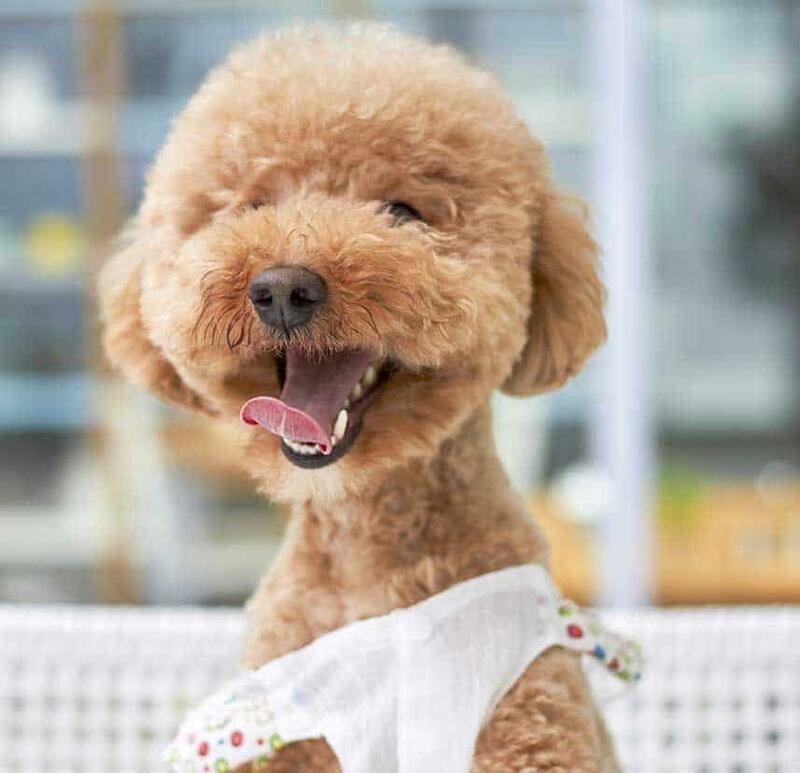 With this mind, here are some tips you can use to market your pet grooming services in a manner that assures your clients that while they are away, their pet will be properly pampered and taken care of. Instead of advertising in daily newspapers, consider marketing your shop in smaller community newspapers. Apart from being cheaper, this can reach more targeted audiences as compared to larger publications, which are often geared towards an extensive range of the population. Most people neglect to realize that business cards are an excellent form of advertising. It can also be a form of creative advertising since you can design them to be colorful and fun. Just make sure not to clutter them with too much information. You can design your business cards using the special templates that most service providers offer. If not, you can upload the logo of your pet grooming shop for a unique design. To make sure that people won’t just toss your business cards, you can transform your cards into refrigerator magnets for a more durable impression. It is difficult to compete with huge pet shops if you’re a small business. Sometimes, price matching your top three or four best-selling services can promote client loyalty. These services might not yield huge profits, but they will help keep your customers coming through your door. Although you may be a few cents cheaper, pet owners will still choose to invest in your shop. To ensure successful sales, modern forms of client education and communication are crucial. Texting and using e-newsletters can be the best key to success. Collecting cell phone numbers and email addresses from your clients is a must. With this form of advertising, the possibilities are endless. You can have your brand on everything from coffee mugs to pens to mouse pads at a reasonable cost. Moreover, you can sell reusable tote bags that carry your pet shop’s logo. This option is not just eco-friendly but is also an excellent way of advertising your business and diversifying your inventory. Most customers today are visiting the company’s website first before purchasing a service. Thus, you should have a professional web presence. A polished web presence indicates that you’re a professional one. Not having a website may drive potential clients to your competitors. Furthermore, you need to make your website visually appealing. You can fill it with wonderful photos and client testimonials. It is a smart idea to add before and after photos as this is an excellent way of showing off your pet grooming shop’s clipping skills. Hiring a professional photographer to capture these photos is recommended. Even if you can take pictures using your cell phone, location images should be professional. Give your chosen photographer a clean workspace and let them do their job. These professionals know the best angles to photograph. Also, they can offer an outsider’s point of view in terms of how your business looks. Images do not lie. Through them, you can discover some changes you can make to boost your shop’s atmosphere. Potential customers would want to see pets enjoying themselves in your shop. Creating and sharing behind-the-scenes videos is a smart idea. Videos will tell a bigger story. In addition, videos showing that you are playing with the pets, along with footage of many on-site animals interacting, can entice potential clients. This marketing strategy can work great wonders at reaching new clients and creating a sense of kindness in your community. Donate your time to an animal shelter within your area and take part in their adoption days. This will surely provide excellent exposures for your business. Also, this is a buzz-worthy event that you can promote on your website. Make sure that the animal shelter has your marketing materials and that they provide you with signage opportunities during the event. Social media channels can help you promote your business and stay ahead of your competitors. Facebook, for instance, can be your best advertising tool. Most Facebook users like pictures so you should take a lot of animal photos, and don’t forget to share them on your business page. These channels can also help you in building a true community. Apart from sharing pictures, you can also post grooming tips. Moreover, ask your community to share tips and pictures, and take part in discussions. The list of creative, affordable ways to advertise your pet grooming shop is endless. All it takes is the ability to think outside the box. But you should not overwhelm yourself by engaging in all these marketing strategies at once. Commit to one or two every month to boost client loyalty and make marketing fun, easy and effective. Also, get your customers and the community involved. Author Bio: Farah Al-Khojai is the Managing Partner of Pet’s Delight. A passionate entrepreneur, Farah holds a Bsc in Government from the London School of Economics. She is always on the lookout for new opportunities to develop and grow the pet and equestrian retail and wholesale market in the UAE and beyond.